I am sooo in love with Jamberry nails! 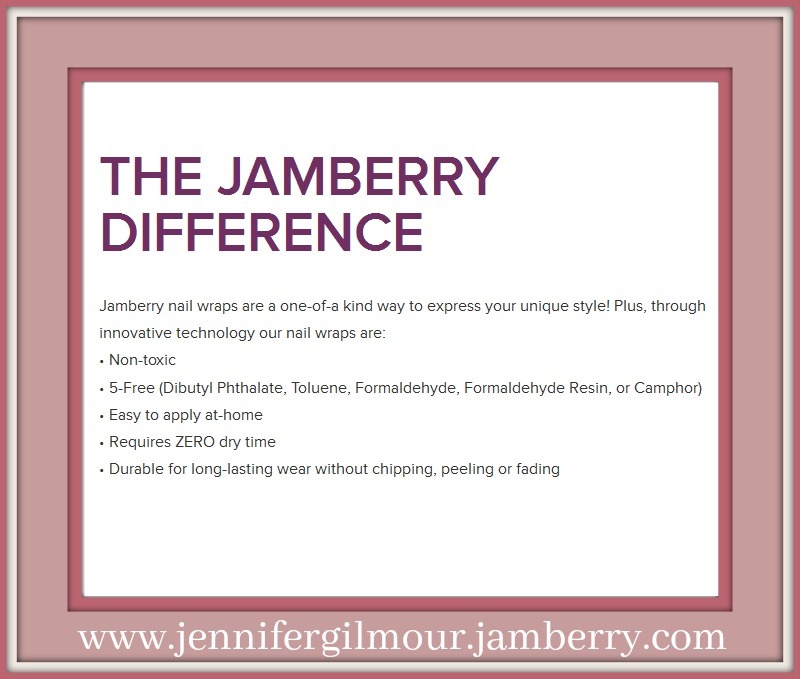 I was really lucky to be gifted a sheet of Jamberry nail wraps by Jennifer Gilmour – an Independent Jamberry Nail Consultant and I think they are amazing! The nail wraps are available in the most beautiful designs! I was sent a lovely floral design which I don’t think is available any more but there are so many more different prints available that you can choose from. 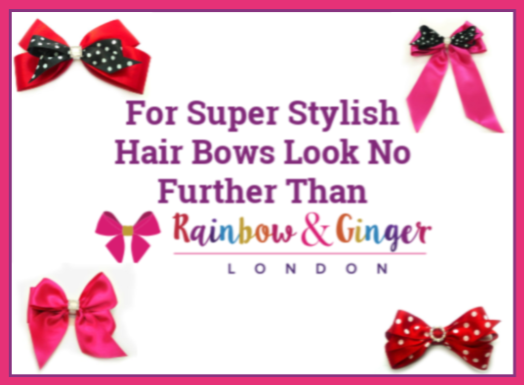 There is most definitely something for every style! 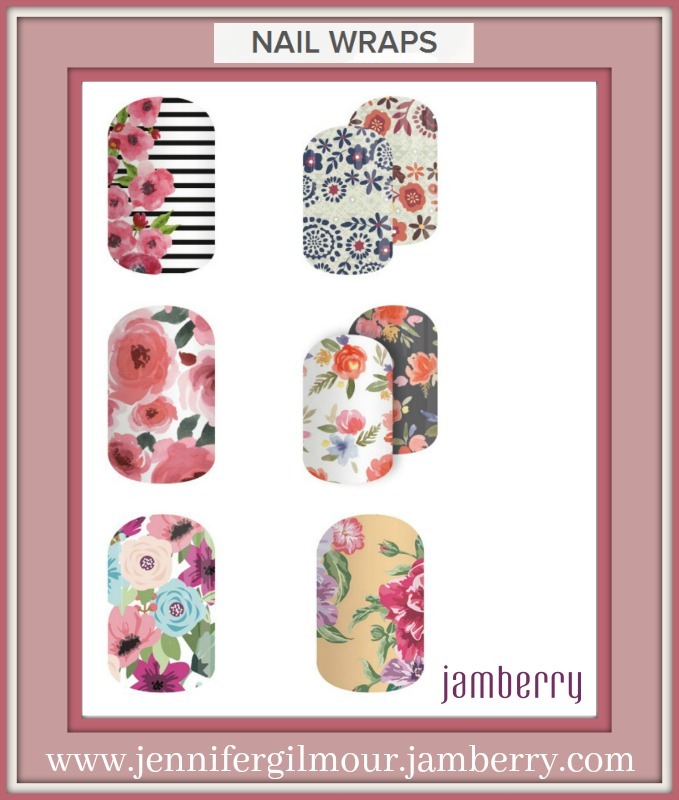 There is a permanent ‘Buy 3 Get 1 Free‘ offer running with Jamberry nails which means for £45.00 you will get £60 worth of nail wraps! Once you have the nail wraps on your nails you don’t need to apply a top coat (unless you want to). You then leave them on until you are ready to remove them. I used half a sheet of these wraps for myself and gave the other half to my sister so she too could give them a go. From the half a sheet that I kept I managed to do a whole manicure for myself and I even cut up some of the other remaining wraps to give my 7 year old daughter a manicure too. She loved that we both had matching nails! I also have other wraps left over so that I can do accent nails or maybe even a pedicure. 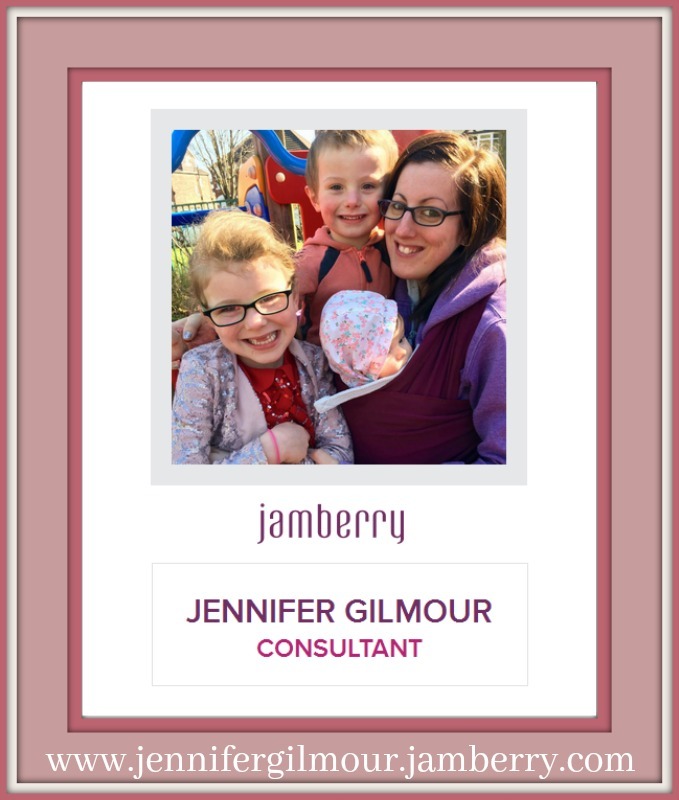 Jennifer Gilmour is an Independent Jamberry Nail Consultant and I have known her through twitter for the last couple of years. She is a very friendly lady and she will be happy to help if you have any questions about the nail wraps. She is a Jamberry Senior Lead Consultant and she started selling the nail wraps in the UK as soon as they launched in this country. 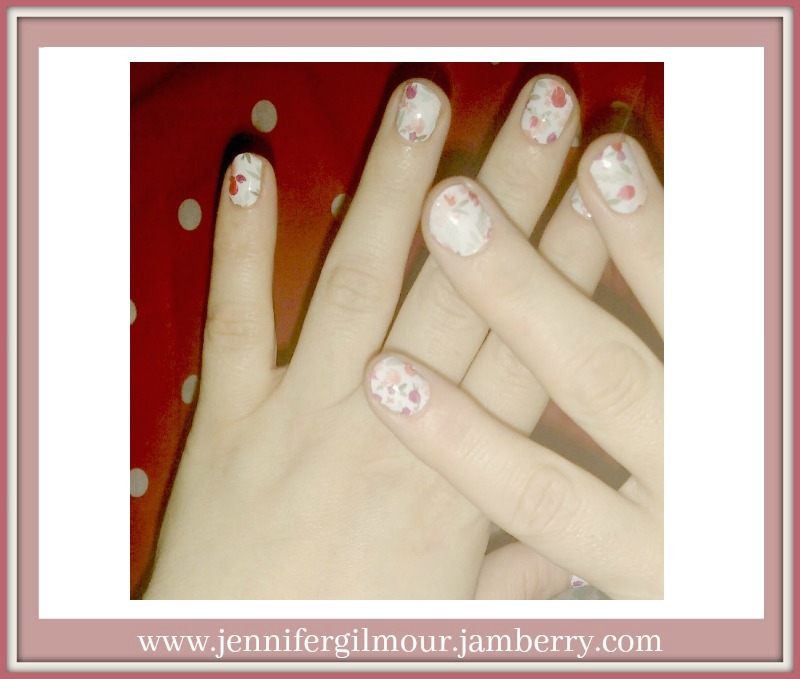 The link to her website is https://jennifergilmour.jamberry.com. 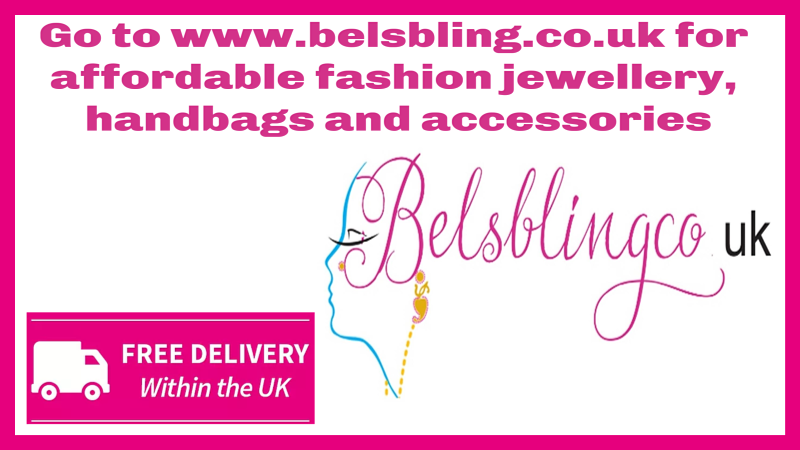 Once you have placed your order on her website it will take between 3 and 5 days for the nail wraps to arrive with you. 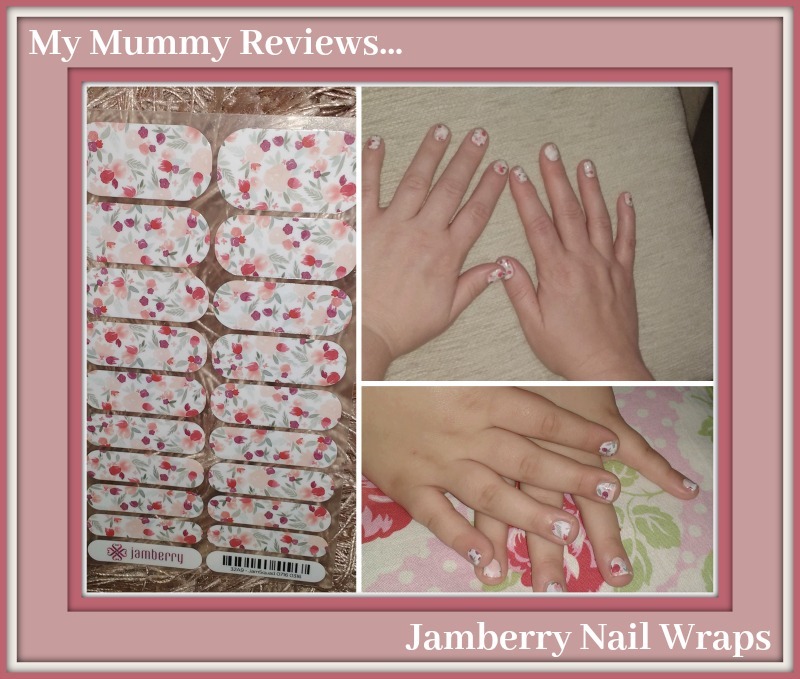 If you are interested in hosting a Jamberry party – be that at your home or online then get in touch with Jennifer on 07582646638 or email jljarratt@hotmail.com . By hosting a party you can earn free nail wraps, earn product credit, discounts, free shipping, and host exclusive items. Please stop by and follow Jennifer on social media. You will find her on Facebook and Twitter. 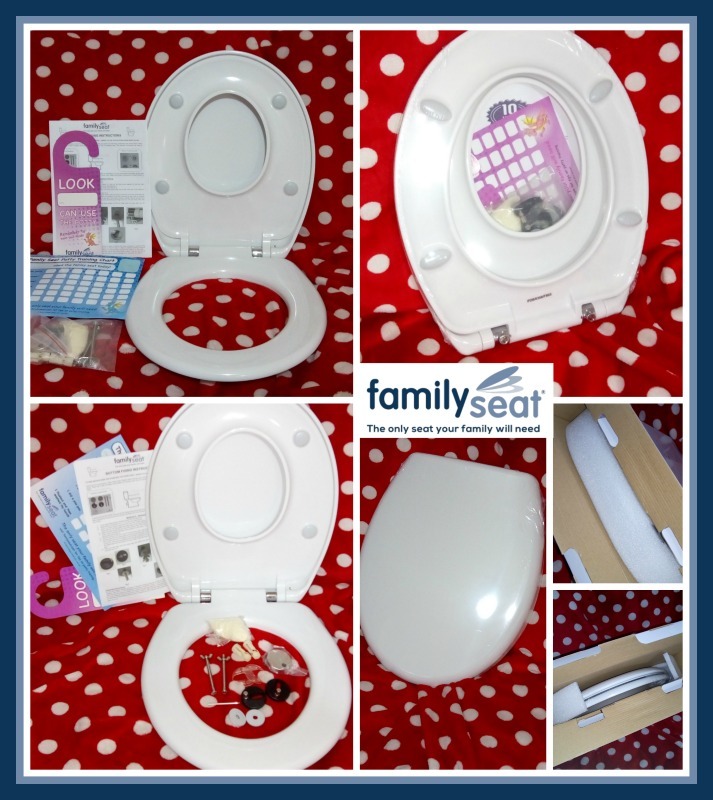 This entry was posted in Review on February 1, 2017 by admin.